The title of the lecture, “My learning experience of East Asia,” may seem ordinary. After all, anyone who studies East Asia would have an ‘East Asian Theory’ of its own. However, having professor Suh as the speaker, the ordinary title seems to signify his years of experiences and his life. Before the lecture had begun, a short video clip of documentary on Suh’s life was screened. Many were completely moved to tears as the darkest past of the generation after Japanese colonization of Korea reminded people of the painful history Korea is now built upon on. Born as a son of the colonized ethnic group in Kyoto, Japan, Suh had realized that he was different from the others when Japanese would say to him, “You are not Japanese! 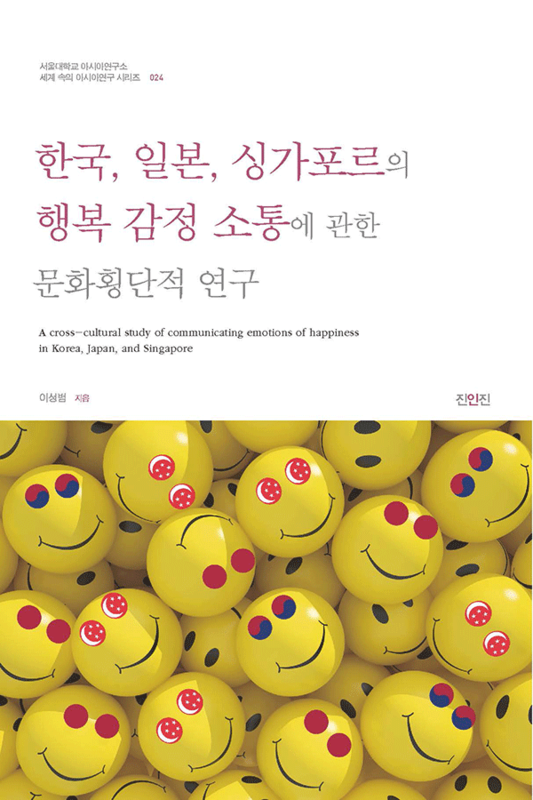 You are Korean!” His cultural background of being a Korean living in Japan during the era of Japanese colonization of Korea had naturally sparked endless questions on self-identity. During the lecture, Suh had repeatedly said that what he had searched for his whole life was his own self-identity. The project on finding oneself may seem juvenile, but Suh’s journey of finding his identity was beyond personal. Suh had faced various state violence and oppression that had affected the life of him And more than anything, Suh had lived to fight against these violence and oppressions. Liberty, rights, and peace had always been more than a mere abstract concept in the textbook, for Suh. These words represent the values that are alive, real, vivid and graphic, what he longed for above all. For Suh, these values had to go beyond the discursive settings, they had to be realized and gained in political terms. Suh participated in the protest against Korea-Japan Summit in 1960s. 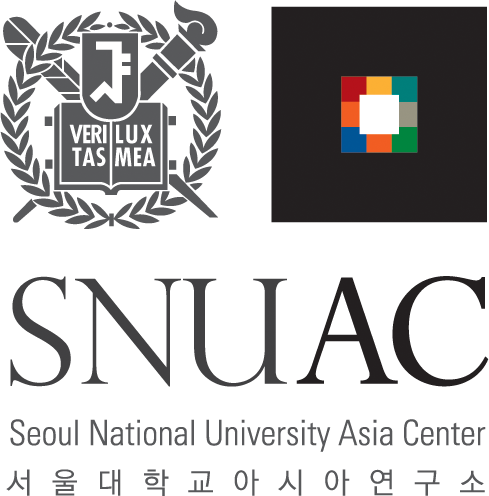 Having serious concerns about ethnicity issues, Suh entered Seoul National University as Sociology major. In 1971, Suh was arrested for violation of the National Security Law. On the first trial, he was sentenced to death. On the second trial, life sentence, after was dismissal of appeal, then his sentence was finalized. His sentence was reduced after 19 years of imprisonment, and was released in 1990. During his imprisonment, he suffered from the torture and the brainwash maneuver for political prisoners. He had first-hand experienced the importance and the need for the preservation of ‘human rights’. After his release, Suh continued to participate in the human rights movement in Japan and U.S, and his academic and educational activities as well. During his speech, Suh explained that the ideology of human rights carries a universal characteristic, but historically, it has been used to justify the privilege rights of the particular class or group. Therefore, in order to resolve the real problems of human rights violation, close attention needs to be paid to the people who are in fact experiencing the difficulties, sufferings, and oppression. Under such critical mind, Suh was able to continued his research and studies on the oppressed government. 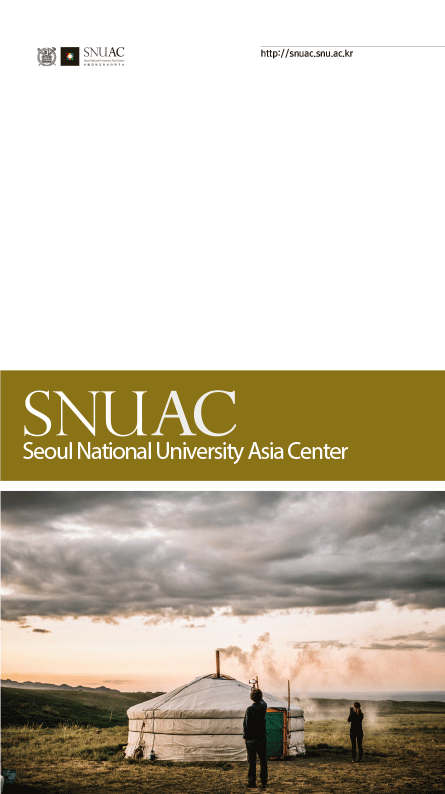 Through his experience on the state violence and the violation of human rights by the Korean government, Suh extended his interest to the neighboring East Asian countries. Mentioning Taiwan and Okinawa specifically, Suh emphasized that these regions need to be understood not as the ‘fringes’ of national structure, but as the most fierce ‘frontier’ or ’frontline’ of the national structure because these regions are the place where the conflict between the Cold War and the state violence is most clearly and explicitly displayed. For such reasons, Suh continues to support the truth ascertainment of state violence in East Asian countries, and the recovery of the rights of the victims. He also participates in practical activities such as peace movement. The lecture presented by Suh inspired many to think about one’s self-identity, the community one lives in, and what needs to be done in order to make the community better. Suh’s speech motivated the audiences to deeply reflect on how the new generation should think and react when they are faced with the continued social hypocrisies and the paradox experienced by the earlier generations while the new problems and dilemmas are also added on. 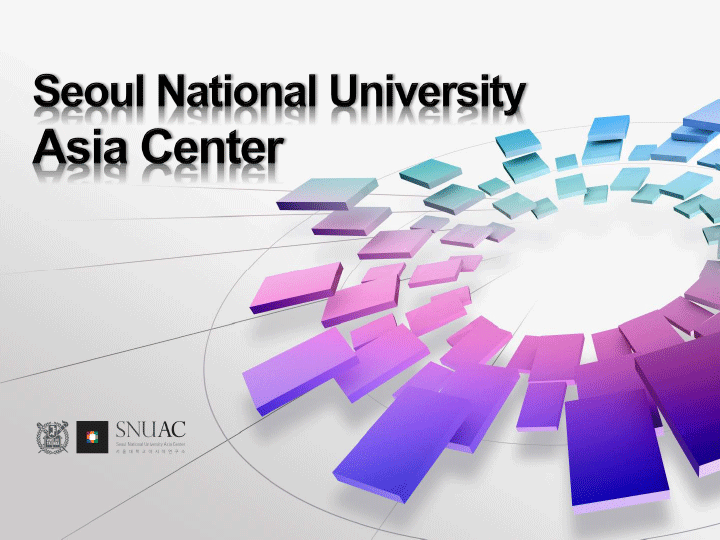 Place: Seoul National University Asia Center. Youngone Hall. Suh, Seung is currently a professor at Ritsumeikan University, and teaches Comparative Human Rights Law, the Law and the Politics of Korea, and other related subjects. He is the director of center for Korean Studies, Ritsumeikan University. Professor Suh is also a co-chair of East Asian Collective Action on the Opposition to visiting the Yasukuni Shrine, where Class A war criminals are honored. His research interest includes the topics on the Law and Politics of Korea, major violations of Human Rights and its Recovery in East Asia, Peace and Reconciliation in East Asia. On Wednesday, January 14th of 2015, Southeast Asia Center had invited Jakkrit Sangkamanee, professor of Anthropology at Chulalongkorn University as the guest speaker of the first official event this year. Jakkrit Sangkamanee, is an anthropologist who has been conducting in-depth studies on the lives of the people who exchange and trade around the boarder riverscape of Mekong region, based on its ecosystem or the artificial boarder since year 2000. Sangkamanee began his speech by first clarifying his underlying assumption that Mekong is a river, a boarder, and a region as itself. And that it is a socio-political construct that composes multi layered meanings. The Greater Mekong Sub-region Project (GMS), a long-term development plan organized by Asian Development Bank (ADB) and the countries surrounding the Mekong River is the most representative product of socio-political structure. The interesting part is that the actual meanings and the realities of GMS changes over time. Other than GMS, Mekong constitutes the borderlines of its surrounding countries, but at the same time, it also is constantly restructured by the people crossing the national boarder. 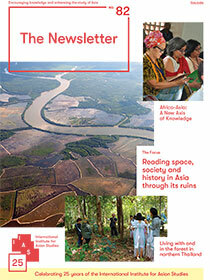 By comparing the regional-based knowledge production process of the regional residents, as shown in Thai Ban Project, and Decision Support Framework, the modern/scientific-based knowledge production process developed by the Mekong River Committee, Sangkamanee showed that knowledge production can be a process of competition. The lecture and the discussion had taken place in the total of two hours length. In the discussion, the questions on the current status of the information sharing and the information exchange of China (government and the corporations), which is located on the upper stream of Mekong River were raised. The boundary between the legal and illegal trade crossing the Mekong River was also debated during the discussion session. Various opinions on the possible changes in the forms of commerce after the completion of overland traffic were also shared. The lecture allowed the knowledge sharing of various perspectives as the audiences of the lecture included not only the researchers of the Southeast Asia Center, but also the researchers of Mekong from other institutions, and scholars from Southeast Asian countries. Recently, ‘Cold War Studies’ has been transforming into ‘Cold War History Studies’. Especially the research topic on the traditional diplomatic history between the United States and the Soviet Union in the past has not been expanded into social, history, cultural studies and the everyday affairs during the Cold War era. The approach of the conference was focused on the ideology of Europe and Asia on the Cold War, its system and the space that came along. The conference was designed to present the diversities and the complexities of the Cold War by comparing the similarities and the differences, and also by finding the continuum amongst each other. The conference intended to gather the renowned researchers and scholars to share the struggles and the difficulties faced during the studies of East Asian experience on the Cold War, which is quite different from that of European experiences. The conference also intended to provide an opportunity to seek for the new direction of future comparative studies on international Cold War experience and history, and the studies of the Cold War and the End of Cold War in East Asia. 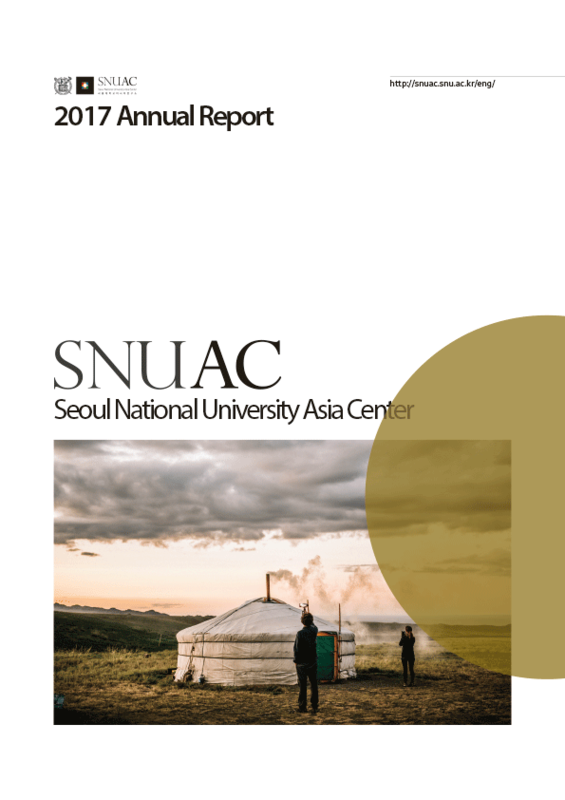 The conference was co-sponsored by the Northeast Asian Center of Seoul National University Asia Center, and East Asian Research Institute of Sungkonghoe University, where Dr. Sebastian Conrad of Freie Universität Berlinis in charge of the Global History Project. The division of Germany and Korea are founded on the division occupation between U.S and U.S.S.R at the end of the World War II. Various explanations are possible to answer the question why the end of Cold War is resulted in different ways. However, it is also important to note that the word ‘post war’ is defined differently in Europe and East Asia. In Germany, or Europe, the post-war began in 1945, but in East Asia, the year various for each country. Japan takes 1945 as the year of post war, while China emphasizes year 1949 in addition to 1945, and Korea takes 1945 and 1953 to signify ‘post war’. In East Asia, ‘post war’ exists as a plural form and not a singular form of a particular year. The basic difference of the Post-Cold War between Europe and East Asia is that the tension between the U.S and U.S.S.R existed in Europe, while in East Asian, the Civil War of China and the Korean War had shifted the main actors of tension to be between the U.S and China. Korean War was a regional war developed by the complexities of the conflicts caused by the Cold War in the international level. At the same time, the war was also a result of the conflict that had been developed during the process of establishment of a new nation after the Japanese decolonization of Korea in East Asian level. Korean War consists of North Korean military attack on South Korea, immediate intervention of the United Nations, and the intervention of China that followed. Korean War also possesses different meanings to each country that were involved. For North Korea, it was a national liberation war. For China, it was a war against the aid from the U.S. For U.S, it was a war to protect the freedom. The development of Cold War is also an important element in understanding the economic development of East Asia. The audiences of the conference were composed of experts and students who are interested in the topic. They actively listened to the speaker with great enthusiasm. During the discussion, ‘violence’ is the key when the Cold War is looked at from social literature perspective or the general sociology perspective. In Europe, the ‘violence’ was a fear escalated by the nuclear war, but in non-European countries, the fear was based on the actual experiences of ‘terror’ and the actual terrorism that had taken place. Dr. Jung, Keunsik asserted that in Europe, the fear was the main reaction to the Cold War, while in East Asia, hostility had also grown with fear. The hostility is caused by the experience of civil war. Accordingly, the issues of reconciliation had also come around, and it was reconciliation between East Asia and the outsider, and the reconciliation within East Asia also. Jung, Yong Wook, commented that analytical studies on the how the U.S society influenced the policies on the Cold War need to be done for the major events. And that the U.S and U.S.S.R had always been taking both Asia and Europe into account, so that the two regions are definitely inter-related at some level. This notion indicates that the fact that Korean McCarthyism is being uprising now is also related to the decolonization and de-Cold War. Similarly, Professor Ross stated that the Cold War in Asia and Europe should not be looked at separately. It was explained that the fact that Turkey gained opportunity to enter NATO by sending the troops to the Korean War, and that the expansion of armaments during the Korean War benefited the economy of West Germany shows the great connection between East Asia and Europe. As such, Cold War at the Global level has various relations and variables. And it is also noted to be interesting to find out the differences between Korea and Japan, France and West Germany. Lastly, Kim, Sang Sook, commented that when the Cold War is being looked that, it would be interesting to see the structure of the governance during the Cold War in terms of the control that has extorted the class wars that were happening in the local level. It can also be extended to the studies of the restructure of the governance in the era of neo-liberalism after the Cold War. East Asian Cold War studies should not only be approached in the fashion of macro comparative studies between East Asia and Europe. It should be expanded into socio-economic and cultural approach that goes far beyond political and military approach. It was also discussed that the conference is hoped to contribute to the academia by being the ground for creating the opportunities and motivations to further develop the field of Cold War studies to the worldly recognized level.